There are plenty of events and activities happening around the County this May half term, to entertain the whole family! Read on to get the know-how on how to have a fun-filled week! 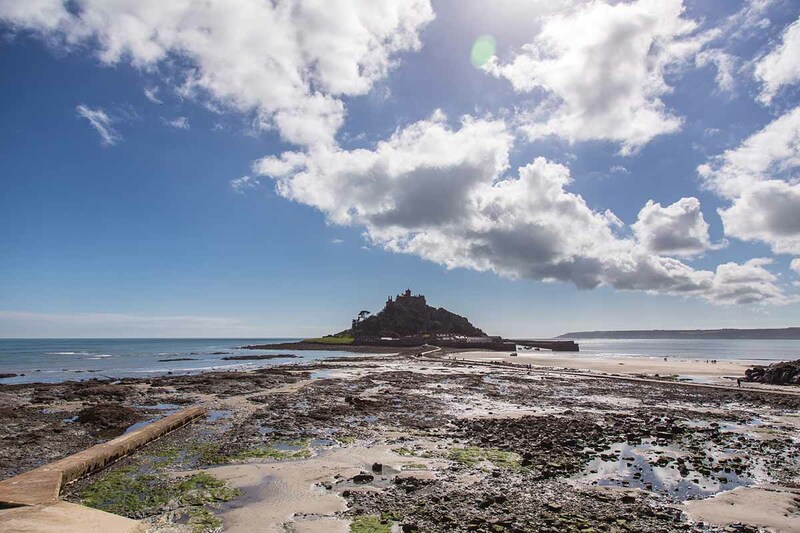 Junior gardeners are invited to join the Gardening Team at St Michael’s Mount and learn a little about the lush sub-tropical garden. Taking place from Monday 28 May – Friday 1 June, from 2pm – 4pm, kids will be able to pot-up a sempervivum – a succulent that grows in the St Michael’s Mount garden. The sempervivum succulent is commonly known as the houseleek, or the ‘liveforever’. The plants can be kept on a window sill or somewhere frost-free outside and young visitors will enjoy getting a little dirty as they pot the plant, ready to take home where they can watch it grow. See more details on the St Michael’s Mount website. A beach clean with a difference, the Seaside Scavenge is about putting a value on trash! Come down to Watergate Bay on Wednesday 30th May 10am-2pm., clean the waterway and trade the trash you collect for funky second-hand clothing. This special beach clean is also a clothes swapping event where litter becomes the currency to purchase pre-loved clothes and goods that are pre-donated by communities. Participants can enjoy live music whilst they work together to make a change to marine life. Back by popular demand, Paradise Park’s Dinosaur Quiz Trail, which has been updated for 2018, runs from May through to September. Just like birds, many dinosaurs had feathers and laid eggs! This half term, in between meeting the birds in the aviaries and at the free flying shows, children of all ages can explore the grounds on their own dinosaur expedition. Search for the dinosaurs and their eggs, answer all the questions and a special ‘Paradise Park Professor of Palaeontology’ certificate is up for grabs! All of the daily activities including the Eagles of Paradise Display (weather permitting), Carrot Time in the Fun Farm, twice daily Penguin feeding times, the indoor JungleBarn and much more can still be enjoyed, and the Otter Pool Cafe offers light lunches including homemade specials, local pasties, a wonderful selection of cakes and Cornish cream teas – plus for the Dinosaurs in Paradise event there will be kids’ lunchboxes with a dinosaur theme. For more about Paradise Park see their website. Set over ten days in the midst of half term, and celebrating its 13th year in 2018, The Fal River Festival is not to be missed. With live music, events and plenty of sporting activities to either watch, or partake in, this fun-filled celebration perfectly encapsulates the history of this fascinating river, alongside raising money for charity. Perfect for people of all ages and staying in the falmouth area. Now in its 14th year, Open Studios Cornwall 2018 will see artists, craftsmen and designers opening their studios and workshops to the public from Saturday 19th May to Monday 28th May. Grab a guide, create your very own art trail, follow the orange Os and explore the landscape as well as creative Cornwall from Coverack to Crackington Haven, Penzance to Port Isaac and Lamorna to Lanreath. Artists across Cornwall throw open their studio doors to the public for nine days, and visitors can tour undiscovered corners of the county, exploring unusual studios spaces from remote cottages and chapels to beachside galleries and historic buildings. It’s an opportunity to meet the creators behind truly distinct finds including sculpture, glasswork, ceramic, painting and textiles. Many studios are family-friendly, offering adults and children the chance to ask questions, learn techniques and master a new skill. One-on-one workshops are held throughout Open Studios Cornwall in unusual Cornish spaces. Check out the Open Studios Cornwall website. With plenty do to in the County this May half term, there’s something for everyone come rain or shine!